In 1802, a bequest was made by John Wanton in 1802 of a house in Strand Street. This later became known as the Old Poor House and is thought to have housed poor widows. 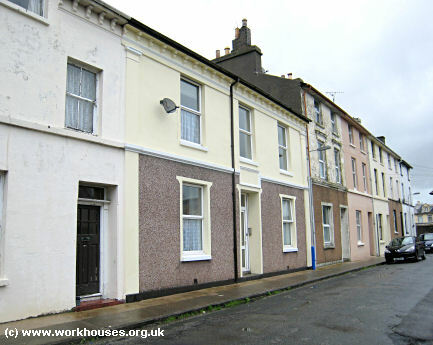 In 1811, a house was rented for use as a poor house in Wellington Square in Douglas. This was replaced in June 1817 by a house on Fort Street which had been bequeathed to the poor of Douglas almost 30 years earlier by French emigré shopkeeper Francis Lasnon. By 1822, it was home to six males and six females. The oldest was an 90-year old man called 'Old Cringle'. The oldest woman was 84, and there were three boys aged 10, 12, and 17 years. A reference to the 'House of Industry' in the will of Deborah Doxon in 1822 may have been to Lasnon's house. By the mid-1830s, Lasnon's house lacked both the space and funds to meet the demands on it. Largely due to the campaigning and fund-raising by the Rev Dr William Carpenter, evangelical curate of Saint Barnabas Church, a new English-style workhouse was built in 1837. The new workhouse was erected on a then green field site on what is now Kingswood Grove. It was designed by John Welch to accommodate 80 inmates. Management of the workhouse was largely in the hand of church trustees and funding based on voluntary contributions. Following the opening of the new workhouse, Lasnon's House was used to provide a dispensary. Douglas former House of Industry from the east, 2008. Douglas former House of Industry, 2008. 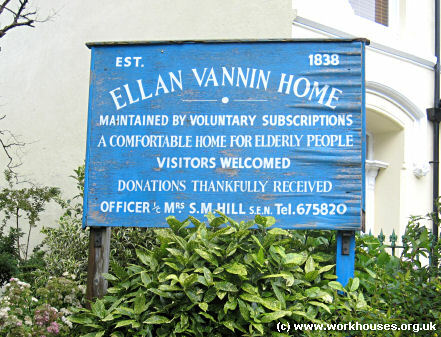 Lasnon's house survives as a florist's store and the former Kingswood Grove workhouse as the Ellan Vannin retirement home. A "Widows' House" was located at 1 Cambrian Place in Douglas, and another on Alms House Lane in the vicinity of St Matthew's Church. "Mrs Grave's Widows House" occupied what is now No. 6 Clarke Street in Douglas. The former Mrs Grave's Widows House, 2008. In 1889, the Manx Parliament, the Tynwald passed an Act to establish a 'Home for the Poor' open to all, and funded by district from which each applicant came. The new home set up at Strang in Braddan, adjacent to the recently erected Ballamona lunatic asylum and managed by the same committee. 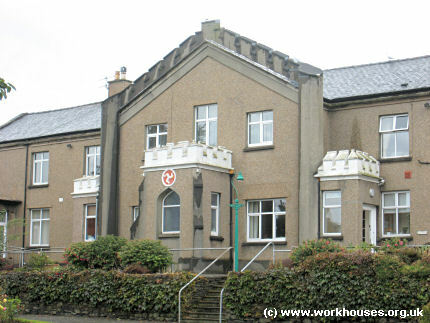 It was originally known as Braddan Poor Home or House for the Poor, later becoming Mannin Infirmary and then Mannin House old people's home. The building was demolished in the 1980s though its perimeter wall still exists. In the 1870s, St Paul's 'Home for the Poor' was set up in Ramsey in the 1870s by the Revd George Paton, curate of St Paul's Ramsey. It was located at 13 Church Street to the rear of St Paul's church. A soup kitchen and free breakfast room for children were also provided. All these were personally funded by Revd Paton. 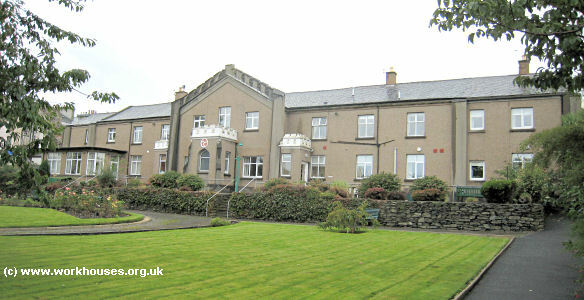 Manx National Heritage Library, Douglas, Kingswood Grove, Isle of Man, IM1 3LY. Holdings include: House of Industry daily return book (1814-1832); Board of Guardians' minute books, building and repairs minute book and counting account book (1901-51).